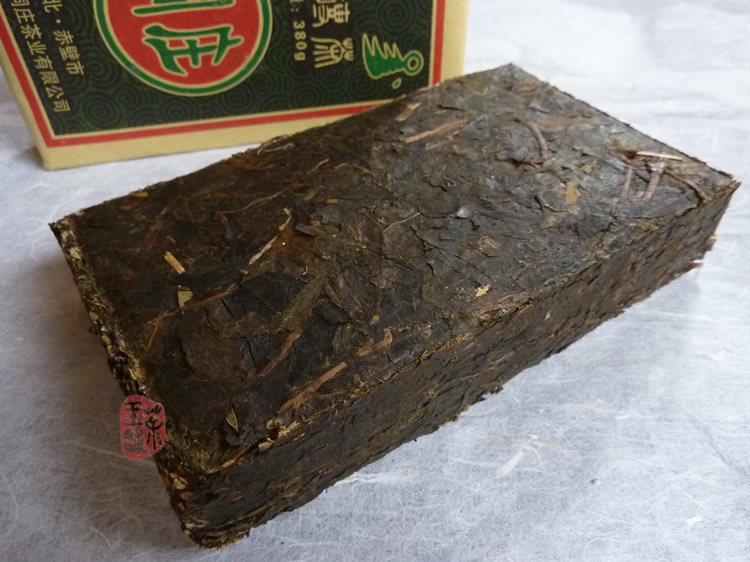 Traditional old style dark tea brick from Hubei province made by traditional technique (selection, fermentation, high temperature steaming, compression, drying). This style brick is made for Iner Mongolia - you can see old Mongolian script in wrapper, which is still used in Inner Mongolia. Living in Inner Mongolia and some areas adjoining to the province, the Mongolians mainly live on beef and mutton, complemented with rice and vegetables. The brick tea is an indispensable beverage to herdsmen and drinking salty tea with milk is a Mongolian tradition. 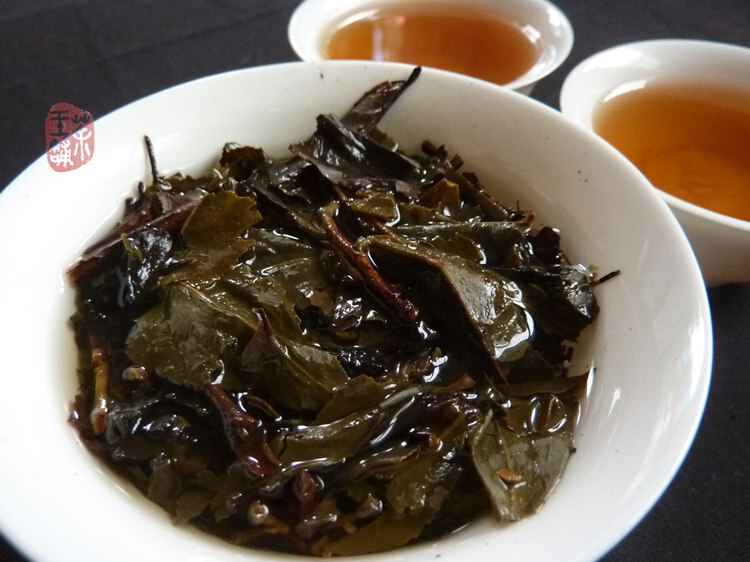 The salty tea with milk uses green or black brick tea as its main material and an iron pot as the cooker. Fill the iron pot with 2-3 liters of water, and then put 50-80 grams of brick tea pieces into the pot once the water boils. After another 5 minutes, pour milk into the pot with a ratio of 1/5 to water and stir it, and then add certain amount of salt. Once the whole pot of the mixture boils, the salty tea with milk is ready to be served. "Dong Zhuang" is the abbreviation of Yang Lou Dong tea house. Yang Lou Dong Chibi city is the origin of Qing Zhuan, the invention began in the Tang Dynasty, but the prosperity actually was during the Ming and Qing Dynasties time.